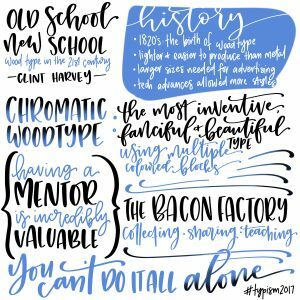 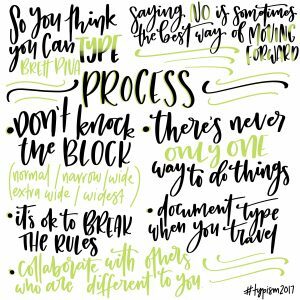 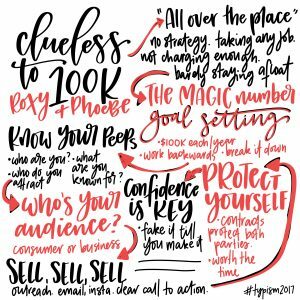 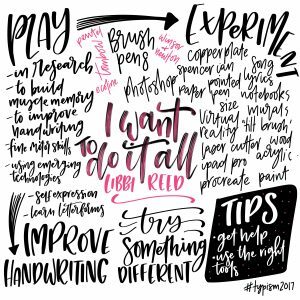 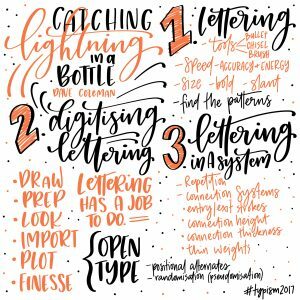 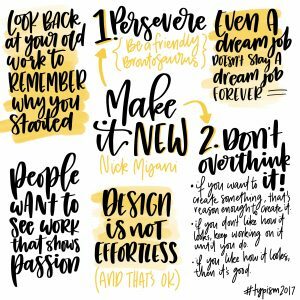 Last weekend I had the pleasure of attending the Typism Conference on the Gold Coast as their official note-taker. 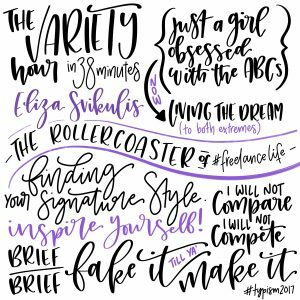 With so many incredible artists in the one place, it was an amazing weekend. 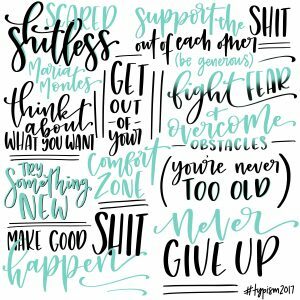 I loved hearing about the variety of work that others are doing, how they juggle work + life, particularly when they are so passionate about what they do, as well as meeting a bunch of new people. 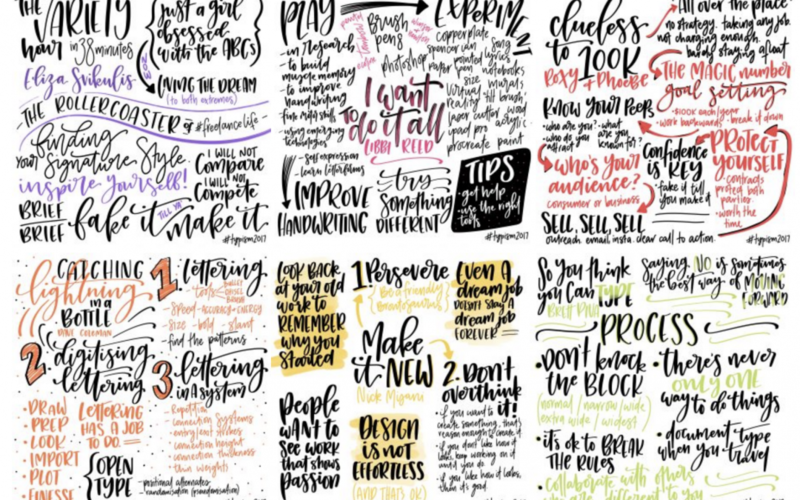 Below are the final notes that I took for each session, all done on an iPad Pro in Procreate and completed during each session.